Cool video to look back into the history of oystering Cronkite. First Colonizers – build it and they will come! 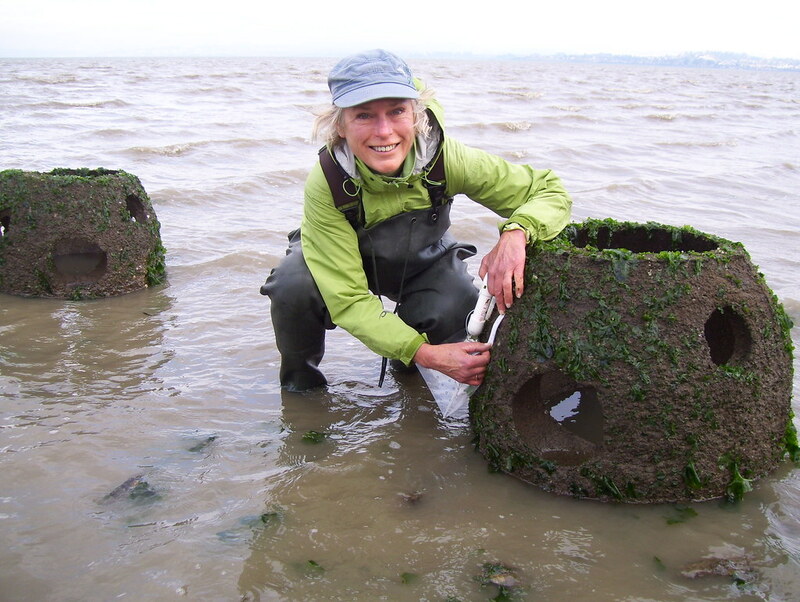 As we say hello to 2015, we also wrap up our first year monitoring our oyster reef on the Point Pinole Shoreline. We’ve found some great things! First, and most important, we found our native Olympia oysters! These crusty creatures were the impetus for the reef project, and we are happy to report that they have found their new habitat and are settling in nicely. They are present by the hundreds on the reef balls, and they have grown an average of 220% since August–that means they have more than tripled their body size in just four months! Olympia oysters are smaller than the Pacific oysters that we commonly think of (and eat), so these young bivalves are still pretty small: about a third of an inch in length. They can expect to get a few inches bigger before they’re fully grown. Oyster larvae are only motile for a short time before they pick a spot and settle down. They need a hard surface to attach to, such as a rock or the shells of adult oysters. The sediment that washed down into the bay during the gold mining days covered up many of the habitable spots, and now hard surfaces are at a premium. 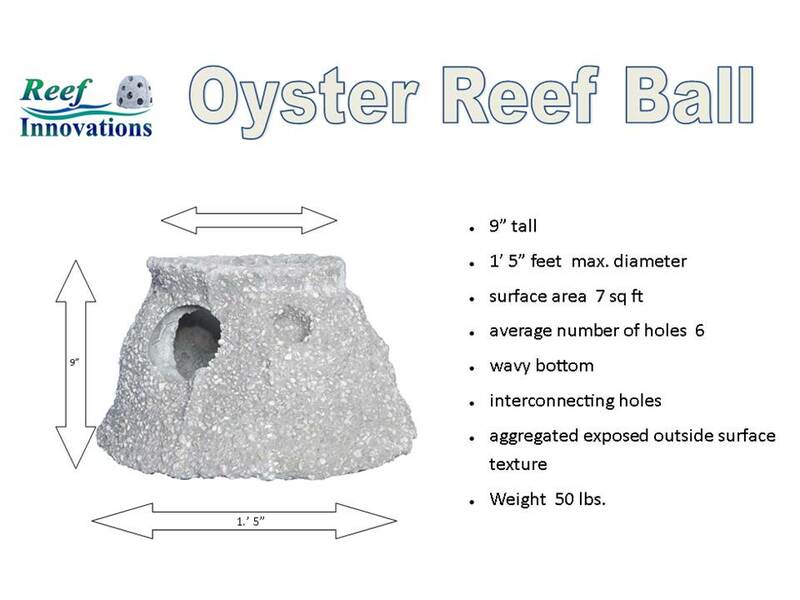 The oyster reef balls, made of bay sand, oyster shell and concrete, provide nice hard spots for oysters to settle down and get to their life’s work: filtering water. As filter feeders, Olympia oysters strain their food from the water, filtering about 50 gallons of water per day and doing their part to keep the bay clean and healthy. Our other reef inhabitants are barnacles. They are also filter feeders, but they have a specialized skill set: while oysters and most other filter feeders internally filter water, barnacles actually reach out of the shelter of their shells with long, feathery limbs and grab food particles from the water. Smaller than oysters, barnacles tend to grow on any hard substrate they can find, up to and including marine animals such as whales. Oysters and barnacles tend to be among the first colonizers of new spaces in the marine world. They can weather harsh environments and end up creating more suitable habitat for many other life forms, including nudibranchs, crabs, and even small fish. This community is not always a welcome addition: for example, presence of these “fouling organisms” on boat hulls can create so much drag in the water that fuel efficiency drops, sometimes drastically. However, to us this community of hardy invertebrates communicates a healthy and prosperous bay. We witnessed another magic moment that brought home the fact that the reef is fulfilling its purpose. It came in the form of a beautiful bird, near sundown, on a stormy December day: a Great Egret was spied fishing amongst the reef balls, a sure sign that life is moving into the reef. If you’re interested in learning more and volunteering to monitor the reef, please contact Helen Dickson (helen@thewatershedproject.org). Hooray, we finally did it! This past Friday, we adorned the San Francisco Bay with our native oyster reefalong the North Richmond shoreline in Point Pinole Regional Park. Friday’s installation was a culmination of many days and years of demanding work, work highlighting people’s dedication to making the Bay a healthier place. Work either touched by an agency ally, community volunteer, or local supporter. A range of people attended this eventful day, each with a common connection: the Olympia oyster. As the only oyster native to the west coast of North America, we all appreciate the role oysters play in a healthy ecosystem. Oysters provide habitat for small organisms such as amphipods, worms, and crabs, that are food for larger animals like salmon and birds. Under a bright sun and pleasant breeze, community members enjoyed oysters on the half shell, while observing the crew of Dixon Marine Services, a local oceanographic company, lower 100 reef balls into the water. Throughout the day, people had a variety of questions about our 250 pound reef balls, but the one on the tip of everyone’s tongue was, “Can we eat the oysters growing on them?” We need people to understand that our project is rooted in science and the oysters are NOT to be eaten. Our Bay and its infinite connections to the people of the Bay, is inevitably affected by the pollution entering our Estuary. Oysters are filter feeders, so in order to eat, adult oysters filter almost 10 gallons of water per day. Oysters can store some of these pollutants in their bodies, and excrete them as well. But one day we envision a swimmable and edible Bay. Though our project is rooted in science our native oyster reef is really about our community. This reef will benefit the health of San Francisco Bay for years to come because a small group of proactive people decided to make positive environmental choices together. 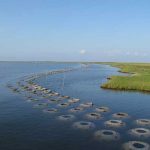 Whether one helped push through a permit, got dirty making reef balls, monitored oysters, or donated services, their imprint is a lasting part of the oyster reef. The reef is another opportunity to connect people with their watershed. The reef becomes an outdoor classroom in our high school curriculum, Wild! Oysters. 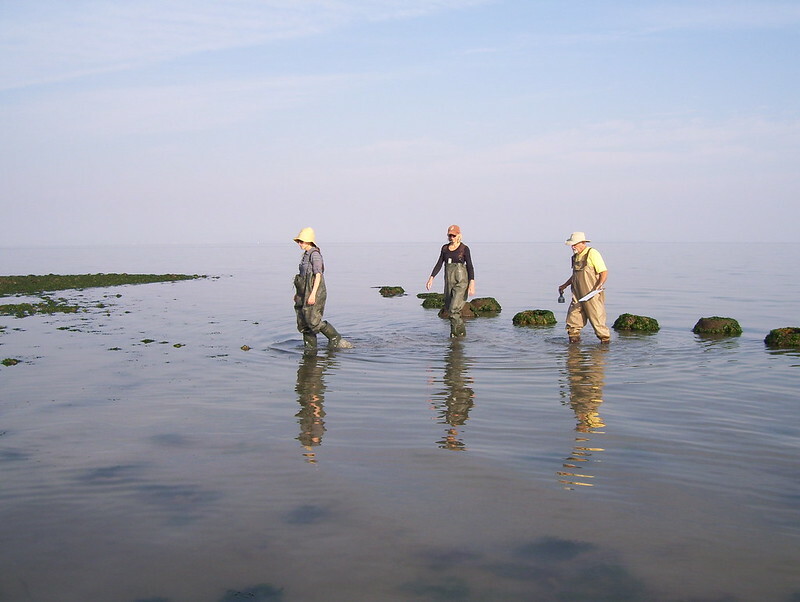 Students come face-to-face with actual live oysters in the field and monitor them just as marine scientists would. We will also engage community volunteers to monitor the reef for oyster recruitment and the percent cover of other organisms. We all worked together to do something good for our Bay, and provide Mother Nature with the kick-start she needs. 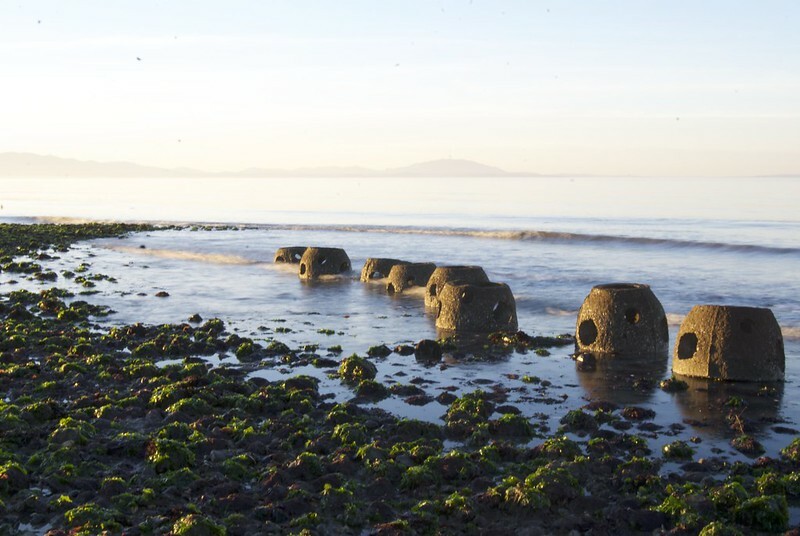 So now the reef balls will allow nature to take its course, letting hundreds of thousands newly attached oysters, or spat, to filter pollutants from the Bay. Our reef is a great example of what an organized community is able to accomplish. If you are interested in becoming involved with the monitoring of native oysters, please check our upcoming events and contact Chris Lim. Survey of Reef Balls find blue crab. It was exciting to see this photo of blue crab making its home in a Reef Ball. Shellfish Restoration efforts should not target just oysters, / single species. Reef Balls placed individually are a great IFH, in the midst of seagrasses they mimic the natural rock formations for stone crabs. In fact they are also related to the life states of lobster. Retrieved from Rick Elyar ‘s Facebook Page, Reef Ball with Blue Crab Highlighted.